5 feet 10 inches tall, 174lb, Maximum chest measurement 40 1/2 inches, minimum chest measurement 37 inches, grey eyes, brown hair, fair complexion. 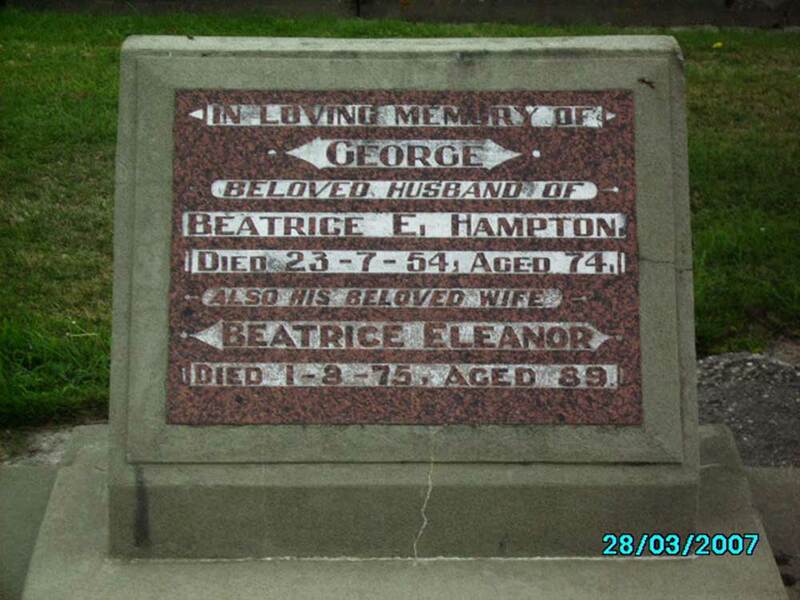 George Hampton was born on 29 March 1880 in Timaru. George drove a team of horses, and he and his brother Jack, were road builders. One of the roads that they built was Woodlands Rd, now one of the main roads in Timaru. George married Beatrice Eleanor Averis on 16 December 1909, in the family home at Kingsdown, their marque had blown down in a Nor’ Wester. After their marriage, George and Beatrice bought a 100 acre farm at Kingsdown. They never had electricity at the farm, they used kerosene as the power board would not put the power in to the end of the road. Private Hampton, No. 91053 was attached to A Company of the 49th Reinforcements. George was admitted to hospital in Trentham on 15 October 1918 with influenza. On 1st December 1918, George was placed on leave without pay until further orders on demobilisation on 3 December 1918. All told George and Beatrice had three children: Eric, Olga, and Zona. George bought his first car in 1929. George continued to farm at Kingsdown until he died on 25 July 1974. He is buried with Beatrice in the Timaru Cemetery. NZ Defense Force Personnel Records (Archives NZ ref AABK 18805 W5539 0049901 [6 October 2016] Timaru Cemetery Database [6 October 2916]; Carole Smith, (Sept 1991) Averis from Oxfordshire to Kingsdown and Beyond; New Zealand College Magazines, Lower Hutt.